Ilulissat, Greenland. 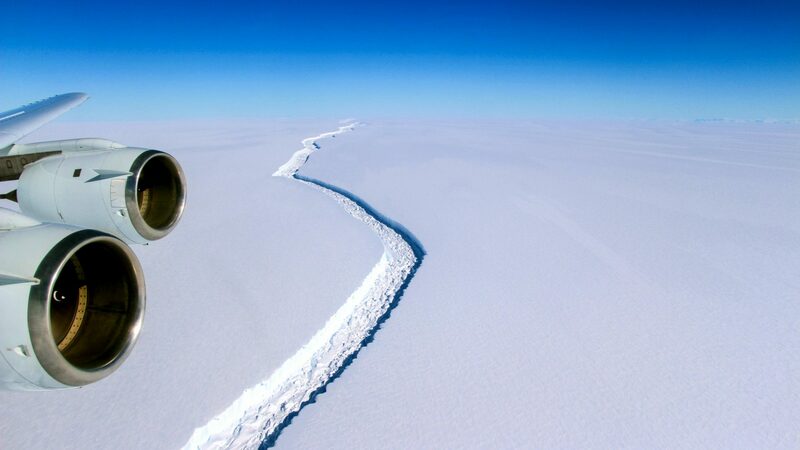 This is where icebergs are born. Follow photographer Lola Akinmade Åkerström’s journey through the land of mammoth ‘bergs, Inuit traditions, sled dogs, and, yes, even Santa Claus. The eerie crackling of breaking ice. 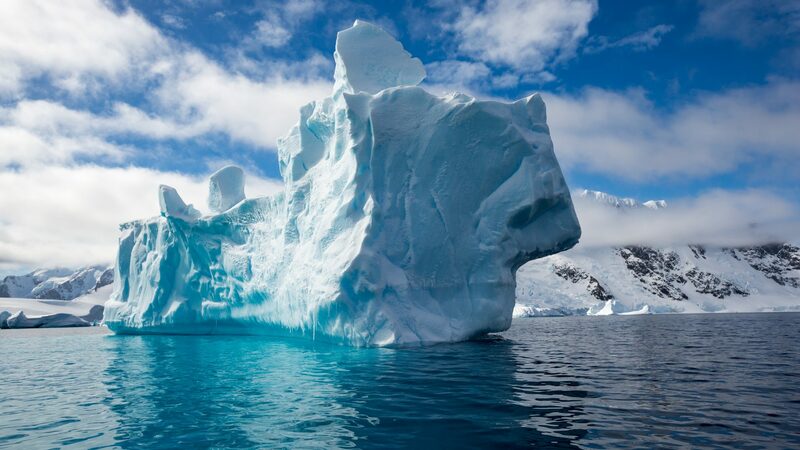 The crushing sound of iceberg meeting iceberg—slow moving giants the size of five-story buildings. The howling of sled dogs piercing through the silent night. 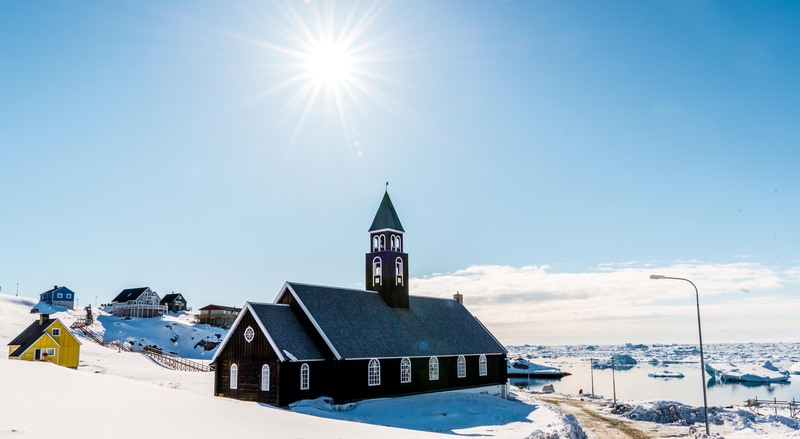 Greenland awakens all your senses and its jarring landscapes continue to awe travelers willing to brave chilling sub-zero temperatures. How was I lured here? A book. It was an intriguing tale of the first African ever to set foot on the world’s largest island, back in the ‘60s. A few years ago, I’d poured through Togo-born Tété-Michel Kpomassie’s book, An African in Greenland. 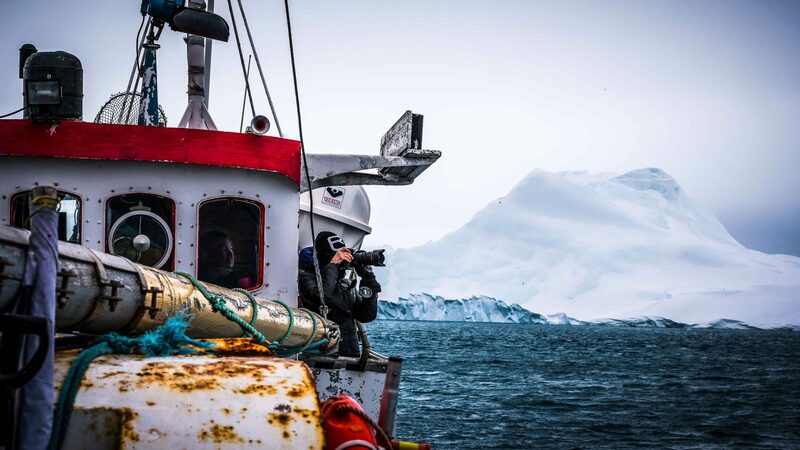 Fascinated by his journey, I vowed to follow in (some) of his footsteps and see those same icebergs that had first intrigued him some 50 years ago. It’s windy, to say the least. Sitting nervously inside Greenland’s Nuuk Airport, my gaze turns from my equally nervous fellow passengers to the gusting winds outside. Red planes dance in place as they’re refueled, signposts rattle vigorously, and I see a man practically swept off his feet as he heads towards the airport. To be honest, I’m not sure I want to take off in this weather. Greenland is already putting us in our place. But take off we do, against the snowstorm, and within an hour of breaking through thick clouds, white spots of varying sizes spread out in every direction. 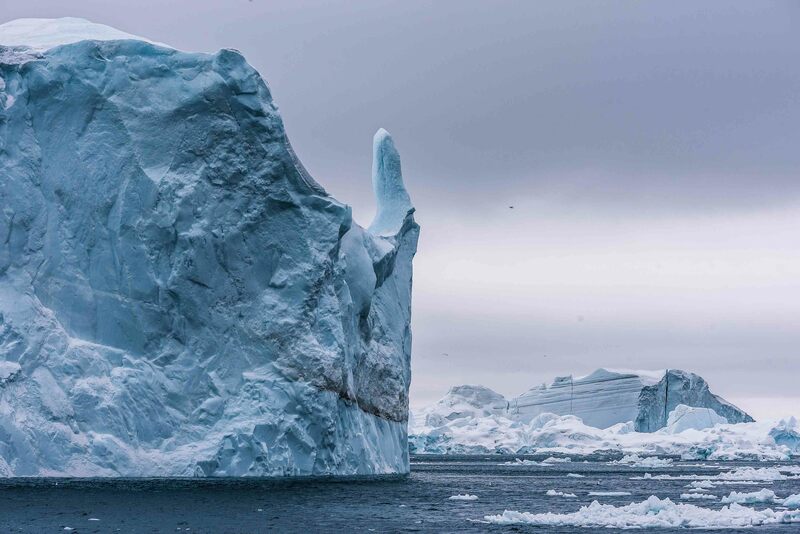 These ice floes speckle the dark aquamarine waters below like a patterned quilt, leading us to Ilulissat. 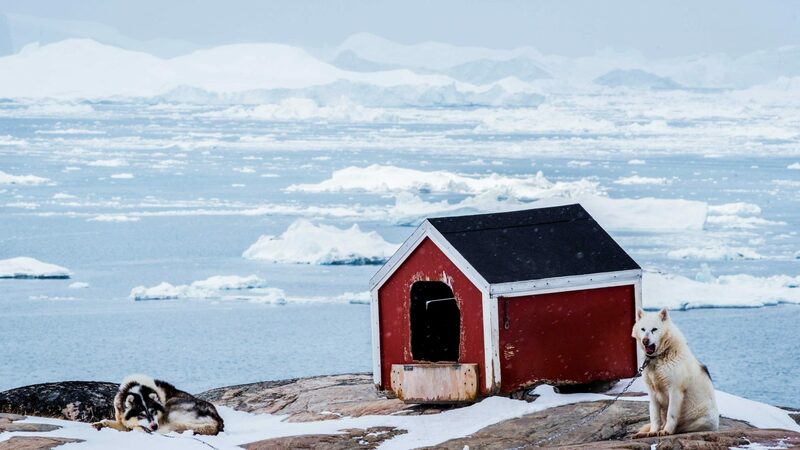 Sitting at the mouth of the UNESCO-Heritage protected Disko Bay and the Ilulissat Icefjord, this small town of roughly 5,000 people—rivaled only by the number of sled dogs—is the third largest in Greenland and a gateway to its outdoor adventures. 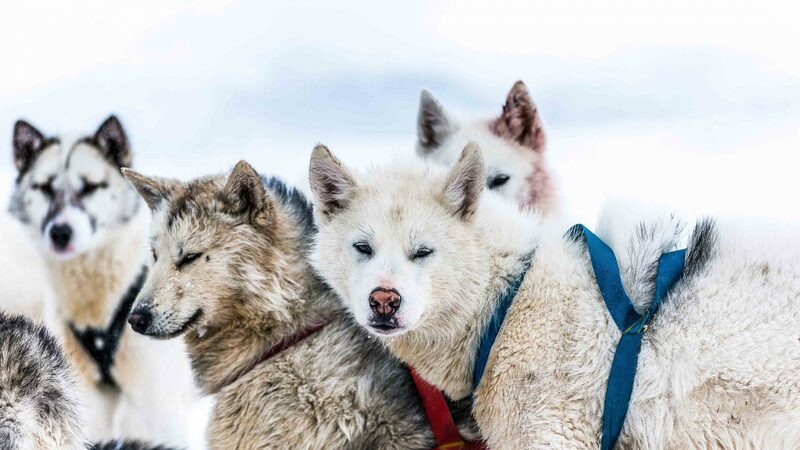 It’s also the birthplace of 19th-century Danish-Greenlandic explorer Knud Rasmussen, the first European to cross the Arctic Northwest Passage using only dog sleds. Despite the somewhat gusty start, I arrive to a peacefully calm Ilulissat where I meet up with my guide Lars, a lean man of Greenlandic Inuit-descent and a Danish name. 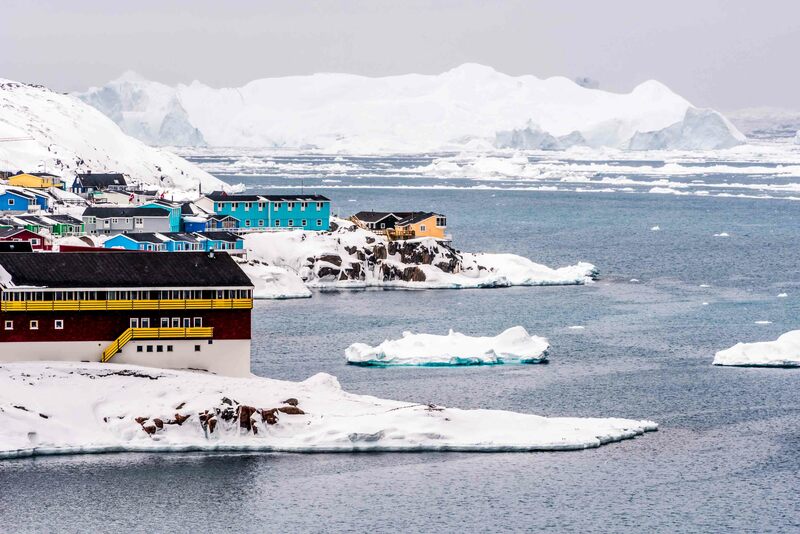 Ilulissat begs to be discovered, at least initially, by foot. It’s a compact town scattered with colorful houses painted in bold, rich hues, a striking sight against a white canvas of snow. 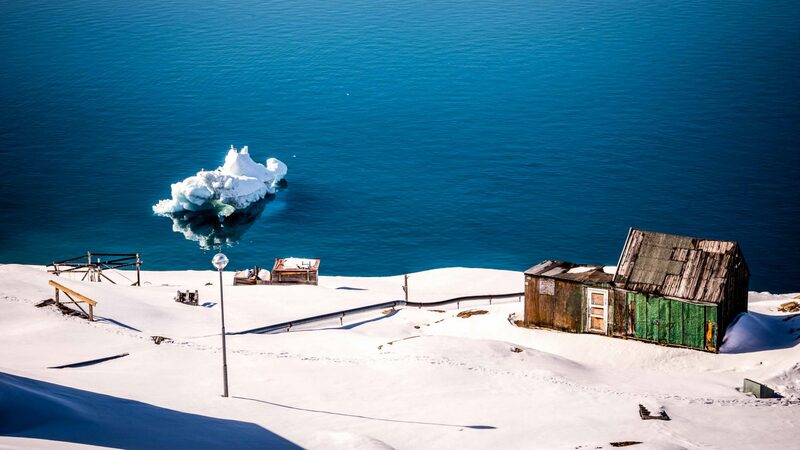 Fishermen’s cabins here, modest cottages there—all with enviable views of icebergs gently floating in the bay. 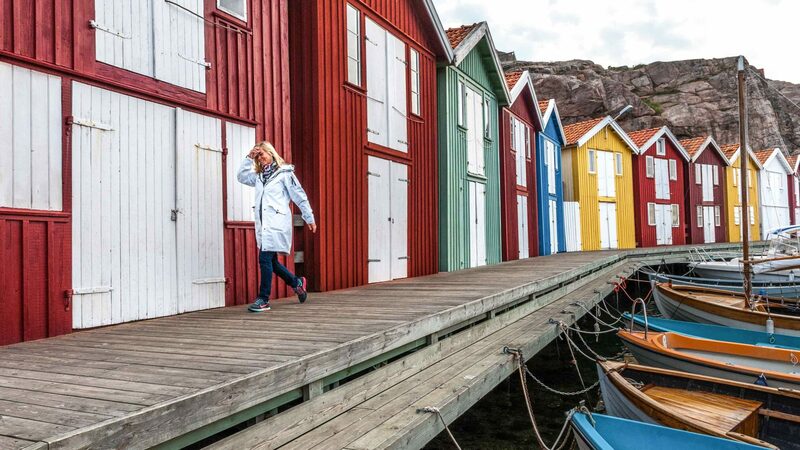 I find out the buildings are painted in vivid shades to help fight depression during long, cold, and dark winters, and that historically, the colors signified the function of the building: Yellow was used for hospitals, blue for communications, red for shops, and green for fishermen. We stop at the most iconic of all buildings—the imposing 18th-century wooden Church of Zion (Zions Kirke). This Lutheran church remains one of the most photographed churches in Greenland and was said to be the largest man-made structure in Greenland when it was built in 1779. Lars and I continue our wanderings down to the water’s edge towards several kayaks on racks, treading carefully—land and ice seem one and the same here. Kayaking has been a common mode of transportation in Greenland for over 4,000 years, and it’s essential for hunting as well. 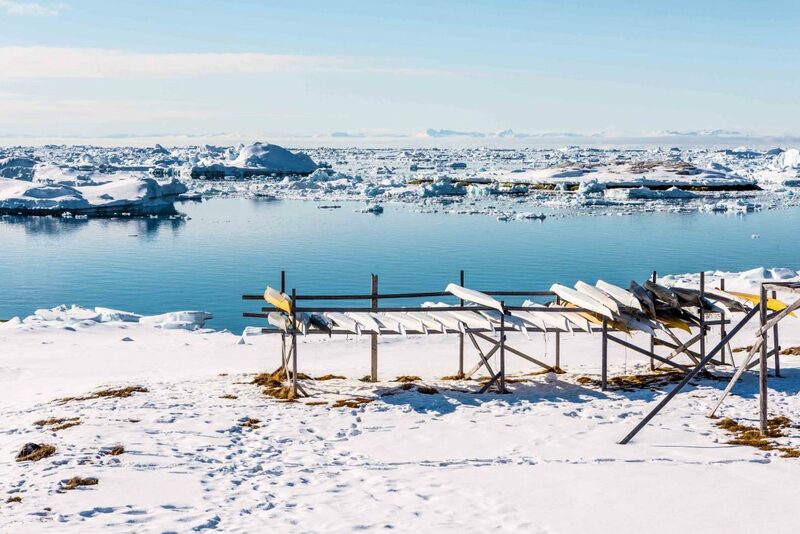 The word itself comes from the Greenlandic Inuit word “qayaq” which translates into “small boat of skins”. In this icy climate, you quickly notice that nothing really grows this far north of the Arctic Circle. Bar the occasional algae growing on rocks by the coast, tufts of rough brown grass peeking through, and seaweed found in the frosty waters of Disko Bay, there are no trees and no thick vegetation. 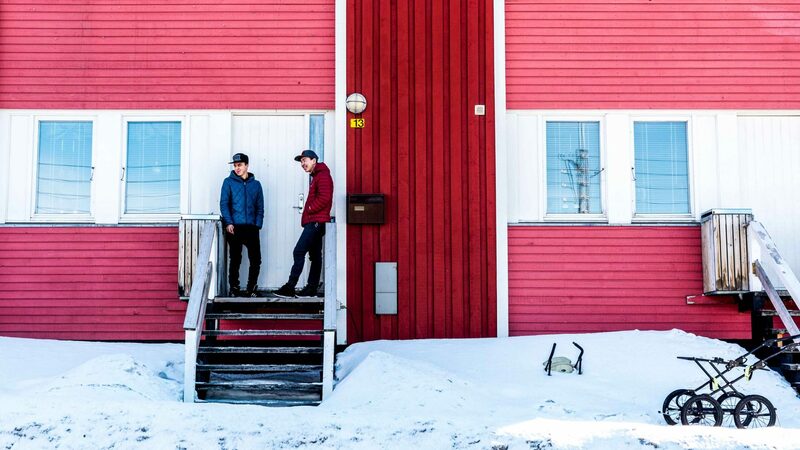 Back in town, we stroll past Inuit teenagers hanging out by Ilulissat’s many colorful apartment blocks. The town was originally founded in 1741 and has morphed into a trading station now, with one hospital, one church and three schools. 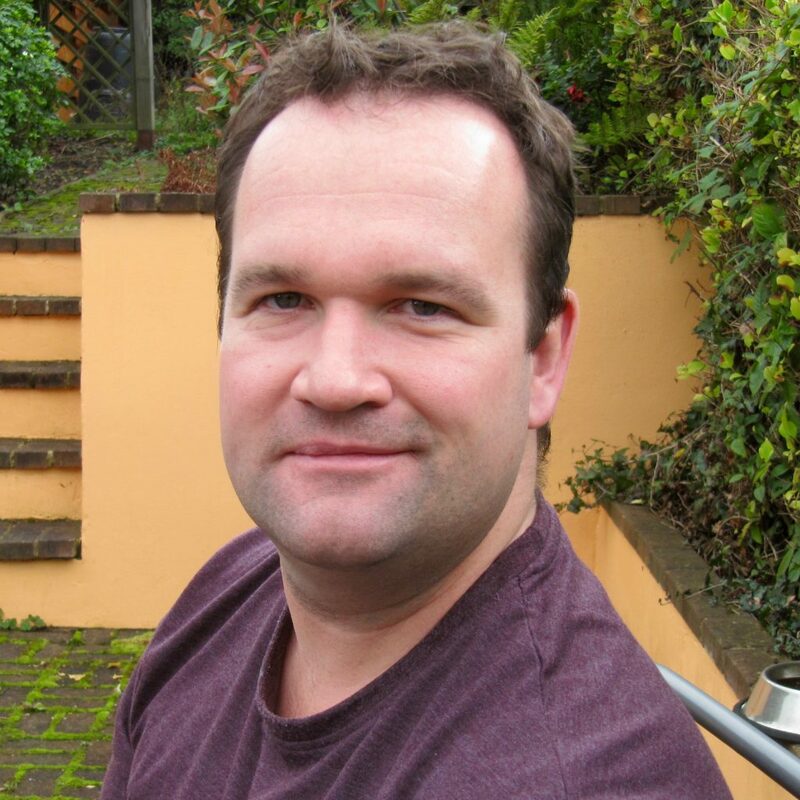 “Students have to leave Ilulissat to continue their higher education in Greenland’s capital Nuuk,” Lars explains. Like living in a snowglobe, I think. 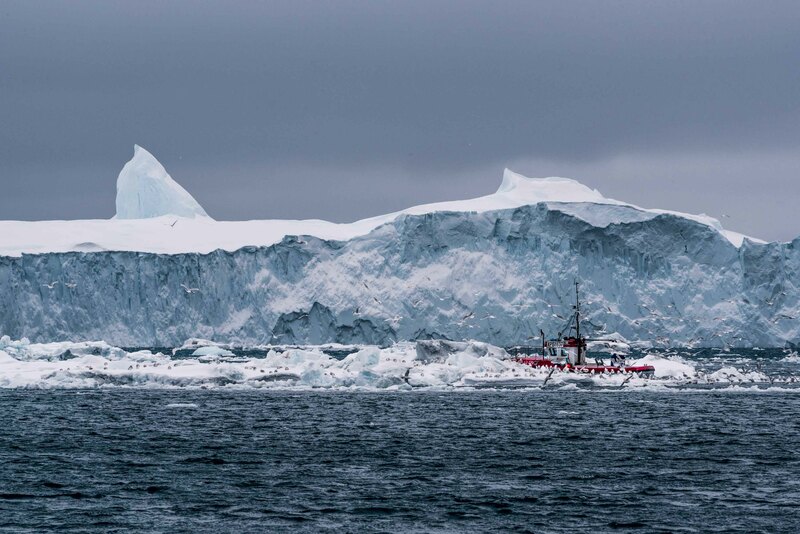 Ilulissat’s limits only stretched so far. 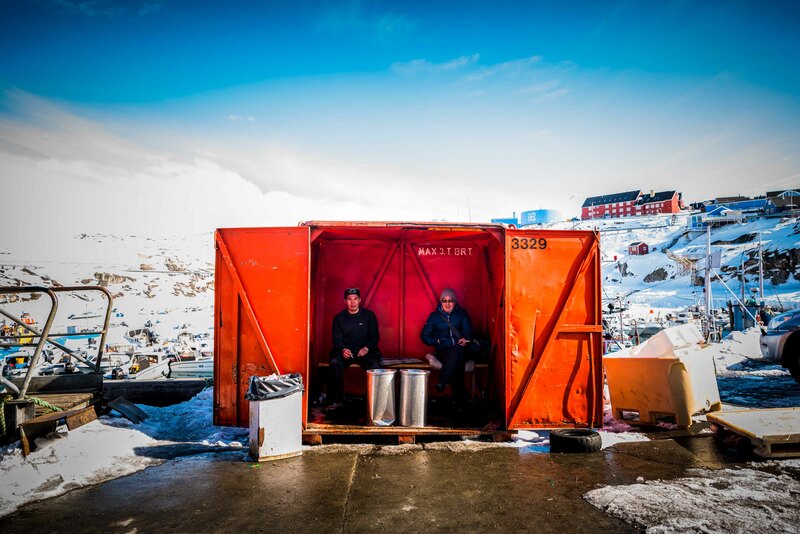 A bright orange container draws my attention during our stroll and within its bowels, I spot two fishermen taking a smoke break from working at nearby Royal Greenland. They lift their cigarettes in salute. 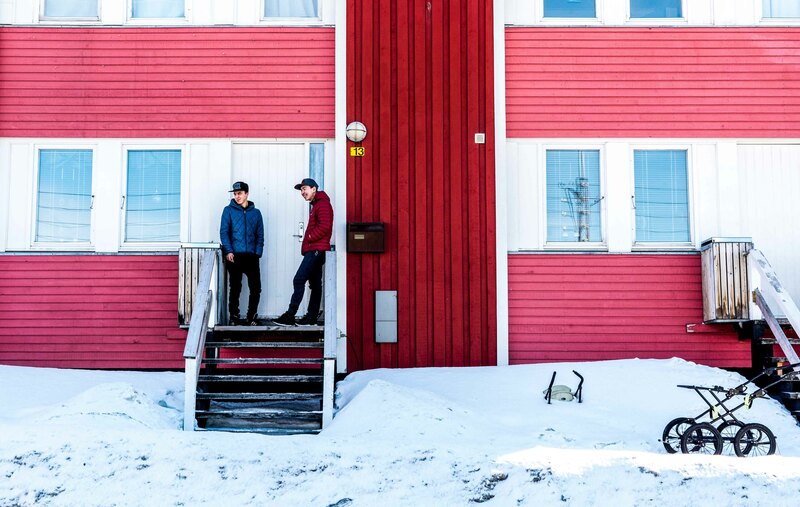 Fishing is a huge industry here—the fisheries make up around 90 per cent of the island’s exports—and its largest employer is Royal Greenland, an internationally-recognized company founded in 1774. 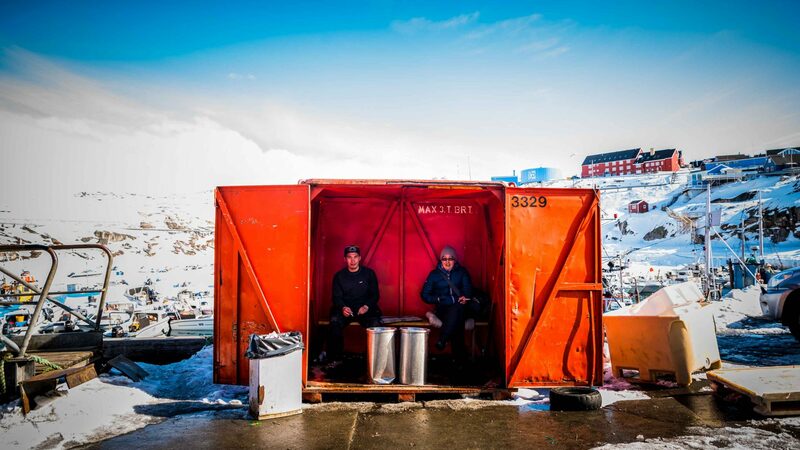 With packing plants in Ilulissat, local fishermen bring in prawns fish (especially halibut and cod) and lumpfish roe, which are then cleaned, packed and shipped all over the world. RELATED: Lagom: Is this the Swedish secret to happiness? 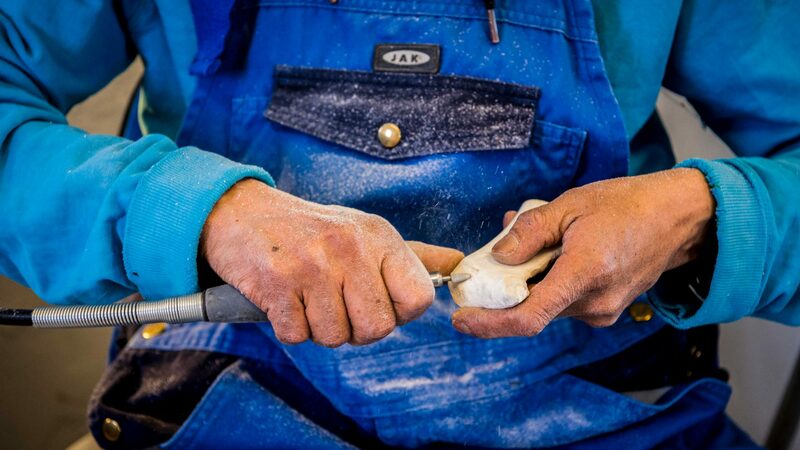 We pop into a small artist colony where three artisans are working. 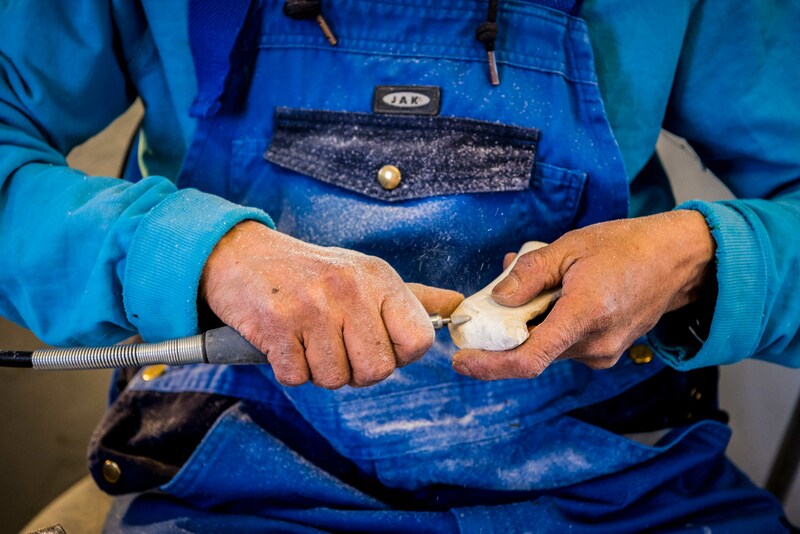 One is carving a small keepsake sculpture out of whale bone. Souvenirs such as carvings of polar bears, whales, seals, and mythical beings like the tupilak spirit (which means ‘soul of the ancestor’ and is said to protect its owner against enemies) are often meticulously handmade from the bones of sea mammals. But my most curious stop is the site of an oversized red sleigh and red post box. 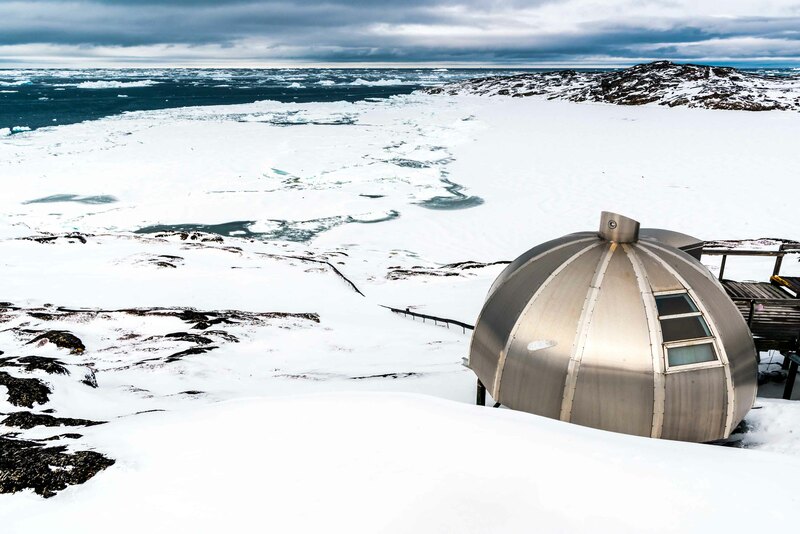 Ordinarily, both structures would have felt out of place, but underneath blankets of snow—this far north of the equator—their presence made perfect sense. 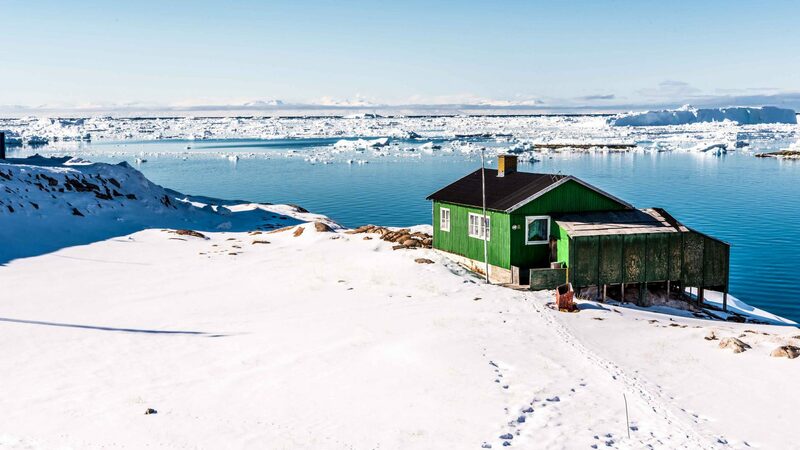 While many Nordic countries lay claim to being Santa Claus’ true North Pole home, he really is believed to live in Greenland—according to Ilulissat’s residents, of course. 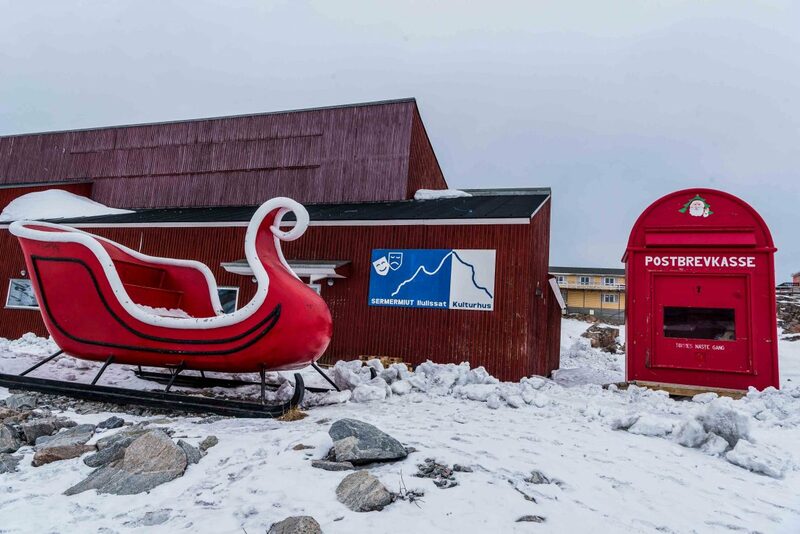 Which explains why the town has a sleigh and a massive red mailbox (although his official address is: Santa Claus, 2412 Nuuk, Greenland). 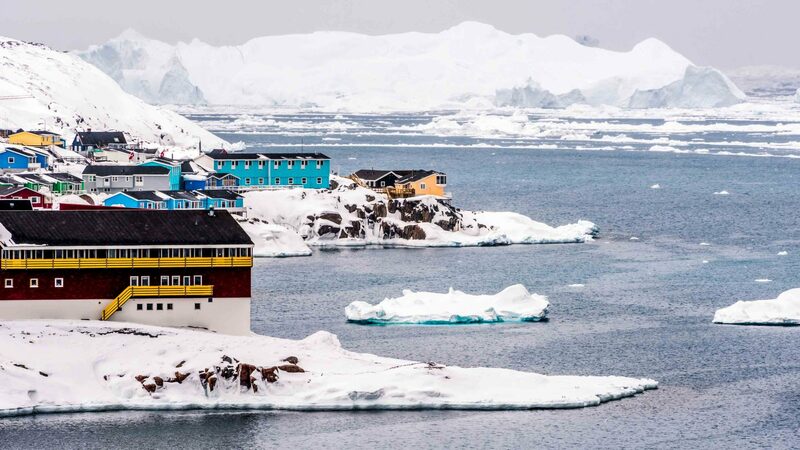 In fact, when children mail letters to Santa Claus across the world, these requests often join tens of thousands which end up in Ilulissat every year where its residents—sorry, Santa’s helper elves—try to respond to them. “So what else are you planning on doing while here?” Lars asks as we stroll lazily around town. 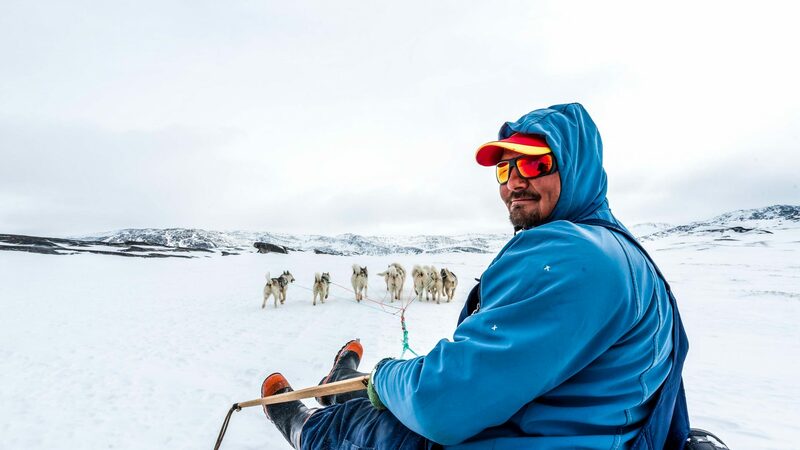 I tell him there are really only only two things I can’t leave Ilulissat without experiencing: Sledding with Greenlandic dogs and sailing with icebergs. 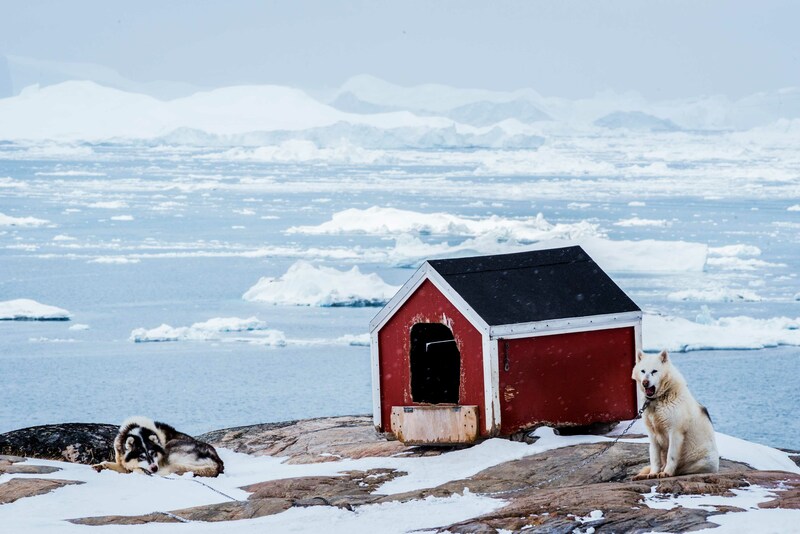 I’d already heard the sled dogs; those deep growls had pierced the crisp air as I’d made my way from Ilulissat airport into town. Howls more reminiscent of pack wolves than anything domesticated. Eerie wails which cut through the night, adding a heightened sense of drama to an already overwhelming atmosphere. 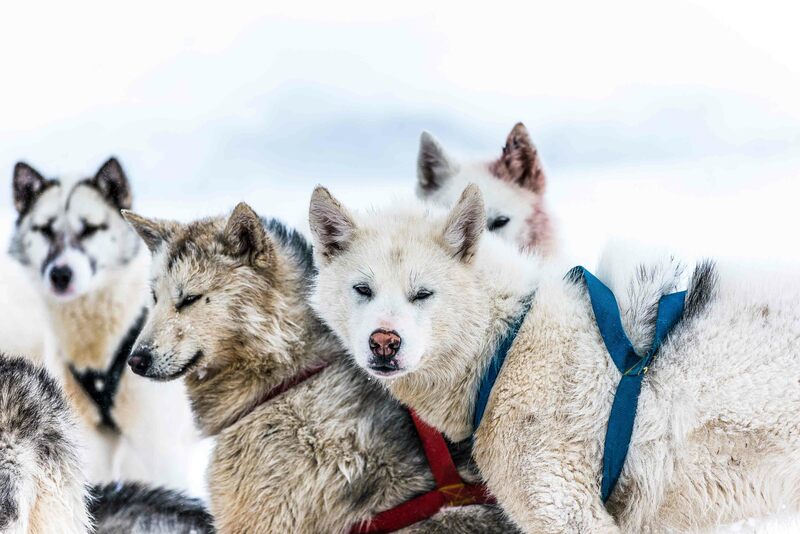 There are over 3,500 sled dogs in Ilulissat for a population of roughly 5,000. The Greenland Dog is a husky-like sled dog; they have been used in Greenland for over 4,000 years and are feistier than your average dog. This is mostly because they’re not bred to be pets; instead they’re bred as strong working dogs mostly used for transportation (across the harsh tundra and frozen Arctic waters during the winter,) and for hunting polar bears and seals. Sledding in town is mostly done through World of Greenland, which works with local Greenlandic Inuit master mushers (drivers of dog sleds) like Kim. 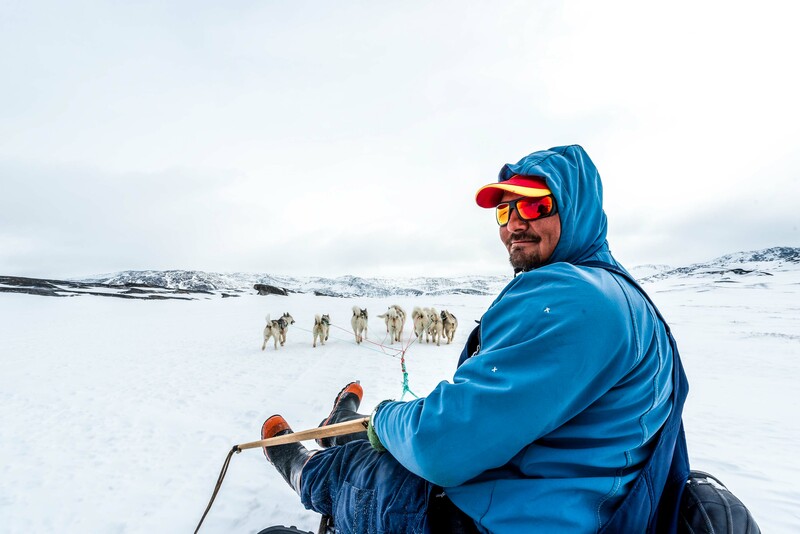 He’s been working as a musher all his life, just like his father and grandfather before him. It’s an art form. On hearing his high-pitched command, our dogs shoot off into the white vastness that spread before us, a landscape where borders between land and frozen waters were blurred, and ice giants float parallel to us in the distance. 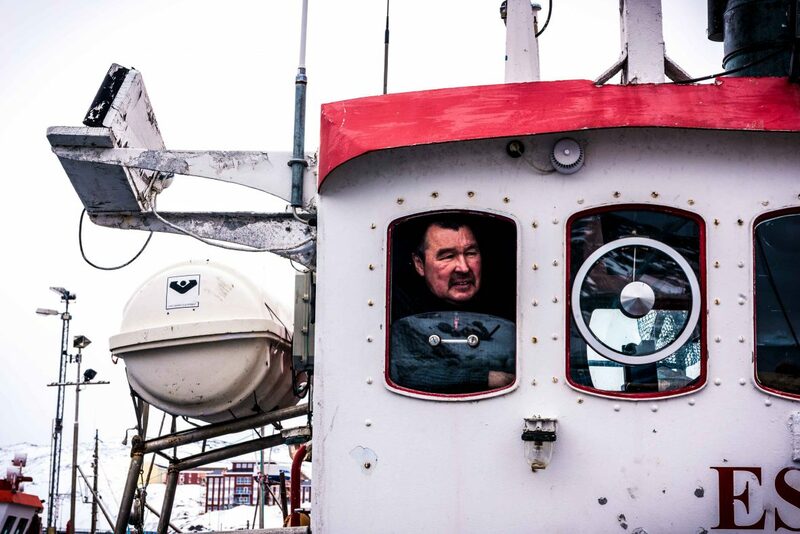 Like most Greenlanders based in Ilulissat, when Kim isn’t mushing during the winter season, he works as a fisherman. Mostly, that involves hunting marine mammals such as whale and seal, both important meats in the Greenlandic diet. 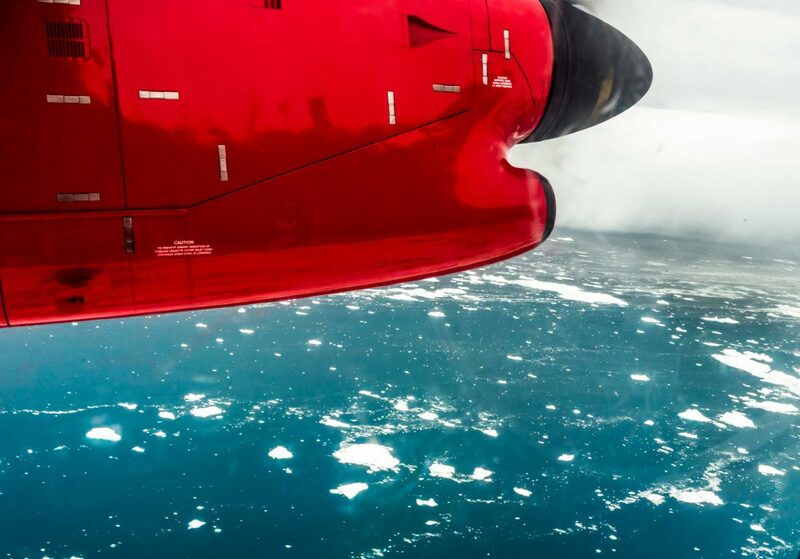 Royal Greenland operates over 40 local landing factories all over the country, as well as in Canada. These allow fishermen to dock and deliver their catch of the day directly from their boats to the doorsteps of the fishery. 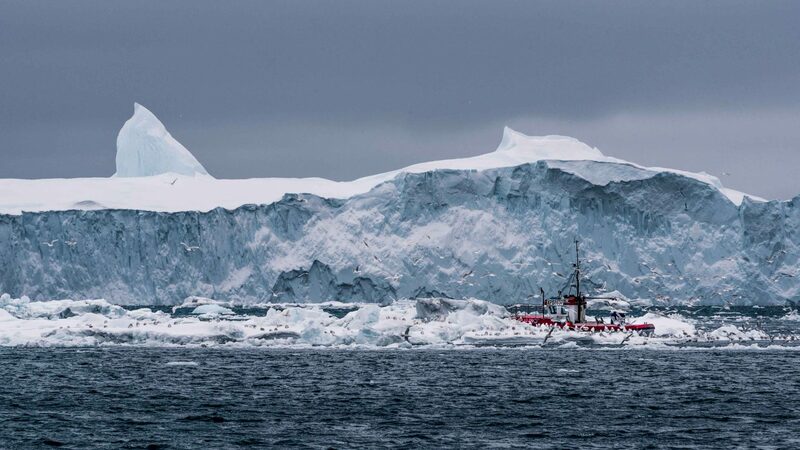 Trawlers are also used by companies such as World of Greenland to ferry travelers through the chilly waters alongside the icebergs. 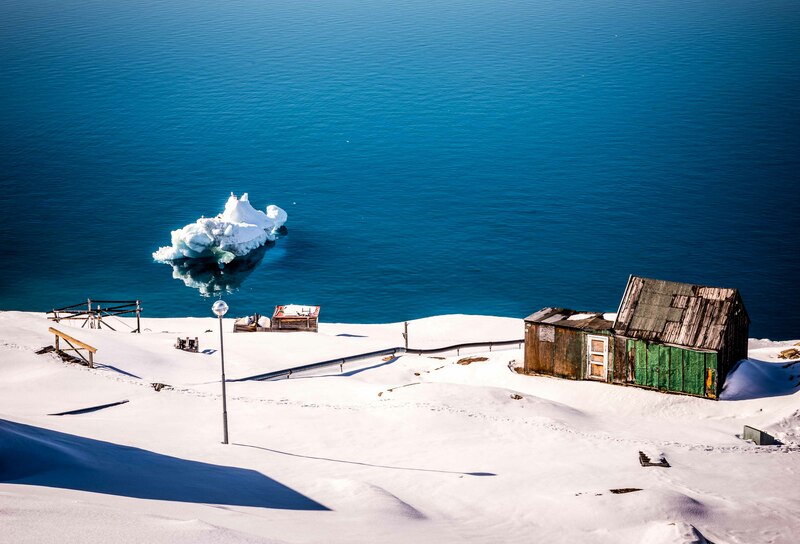 I board mine beaten and weathered thanks to Greenland’s punishing climes (and age!). 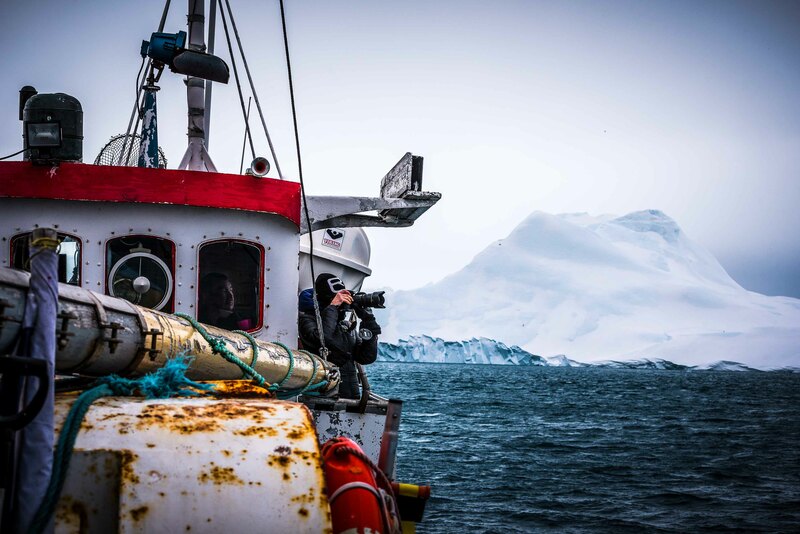 The low drum of the engine kicks off, its sound cocooning us as we leave the hum of port life and venture out into the quiet bay, where the only sound to rival it is the brutal crushing of ice meeting ice. Standing on the deck, the biting wind slaps my face as we cut through the icy waters, past icebergs standing several stories tall. I experience a cocktail of emotions, the overarching one being a sense of just how small I am—how small we all are—against a backdrop of such grandeur. 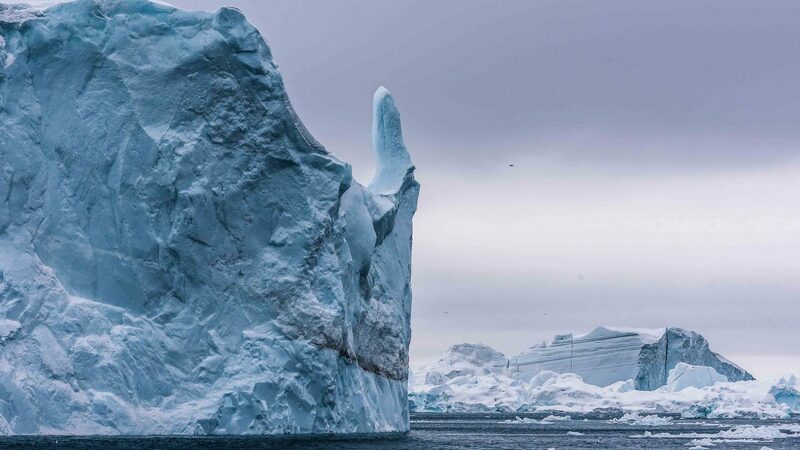 The surrounding bay and fjord, Ilulissat Icejord, has thousands of floating icebergs carved off from the Sermeq Kujalleq glacier (also known as the Jakobshavn glacier) and one of the world’s fastest-moving. These large blocks of ice can easily span three to four city blocks; they also change color based on the temperature of natural light and how it’s diffused through the ice. Many take on interesting shapes and profiles as they begin to melt, too—I spot a smiling rhino with its horn and a shark’s fin. 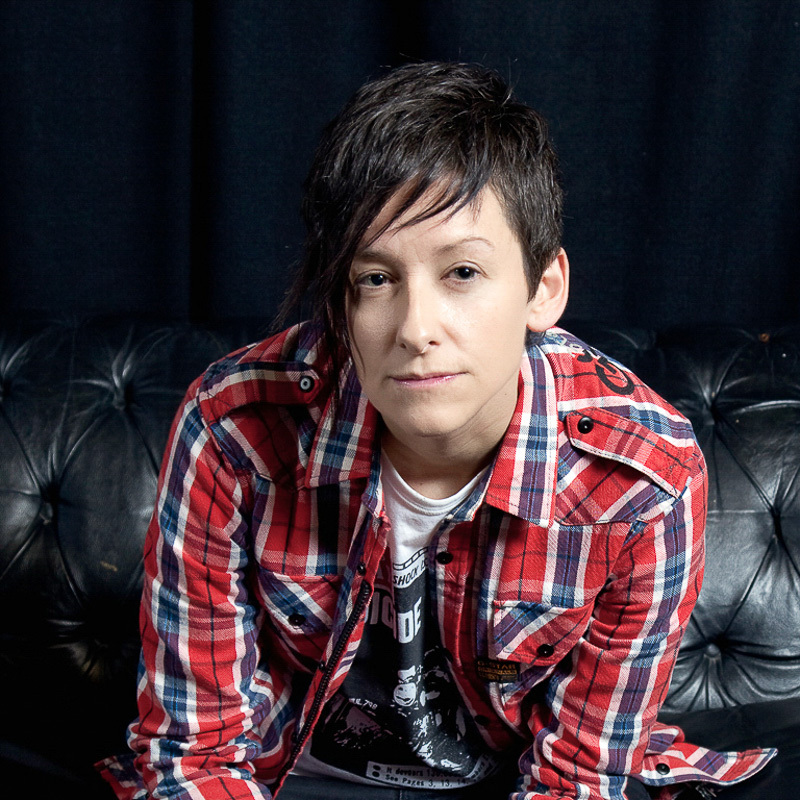 I’m acutely aware that what I’m looking at is just 10 per cent—the tip of the iceberg as it were. 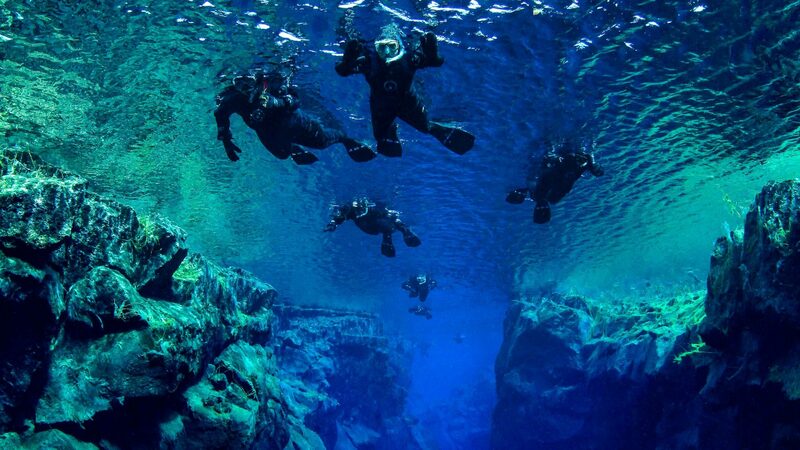 A full 90 per cent still lies beneath the surface and I feel a mind-blowing humility. In the shadow of an iceberg as tall as a skyscraper, a fishing trawler in Disko bay pulls in its catch as seagulls circle around it. The captain tells us that a pod of fin whales had been spotted earlier that day. Even in winter, when other birds migrate south, the sea birds abound here. Today, they follow our trawler in search of fishing scraps, occasionally taking breaks on large floes before jetting off again. 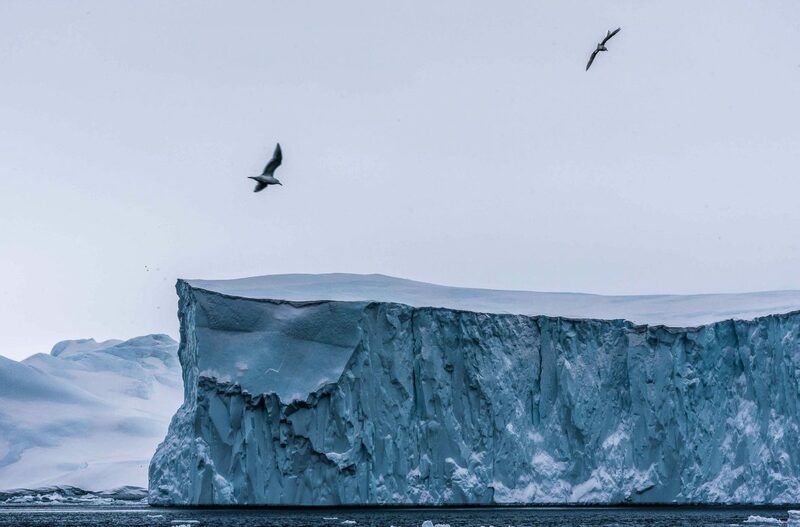 I spot seagulls flying over an iceberg shelf larger than any building I’d seen in the entire country. Various species of sea birds—such as eider, auk, and guillemot—can be harvested in Greenland for food. There are strict regulations governing how hunting and shooting is conducted, including daily quotas and breeding seasons that are off-limits to hunters. The birds’ cawing provides a chorus to the soundtrack now etched in my brain forever, accompanying the low hum of the trawler’s engine and the crackling of ice. The symphony reaches its crescendo as the engine splutters its way to an abrupt end back at the shores of town some two hours later. By the time I reach my lodgings, the low winter sun is already setting over Disko Bay, casting a golden glow across this ethereal landscape. 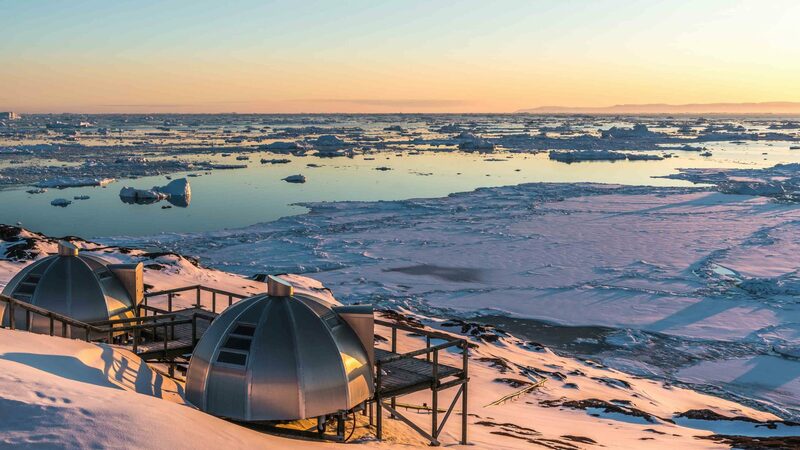 My home for the night is the Hotel Arctic, considered to be the world’s most northerly four-star hotel, where guests can book special stays in its igloo cabins and outdoor rooms. Earlier that day, I’d wandered out on to its wooden observation deck and bridge. 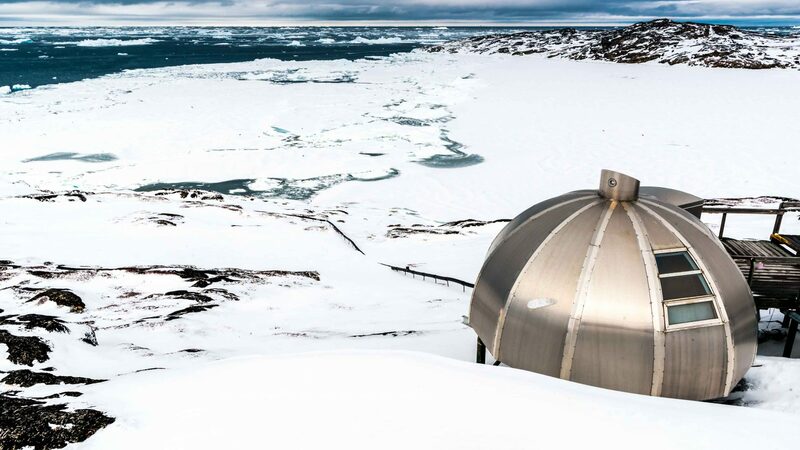 I’d seen those metal igloos, and noticed how they generated a surreal space-age feeling; perhaps foretelling what camping out on Mars might look like in the future. But as I stand there and watch the sun set over Ilulissat’s icebergs, I’m suddenly in awe that this was not the Mars of the future; that this is Earth, right here and now. 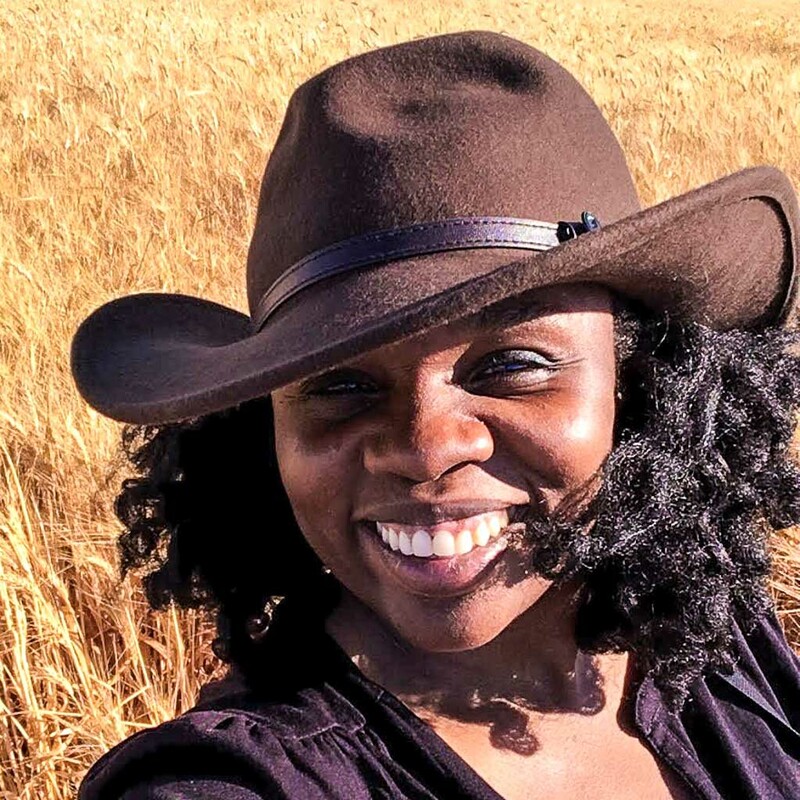 An Adventure.com featured contributor, Lola Akinmade Åkerström is a Stockholm-based writer and photographer. 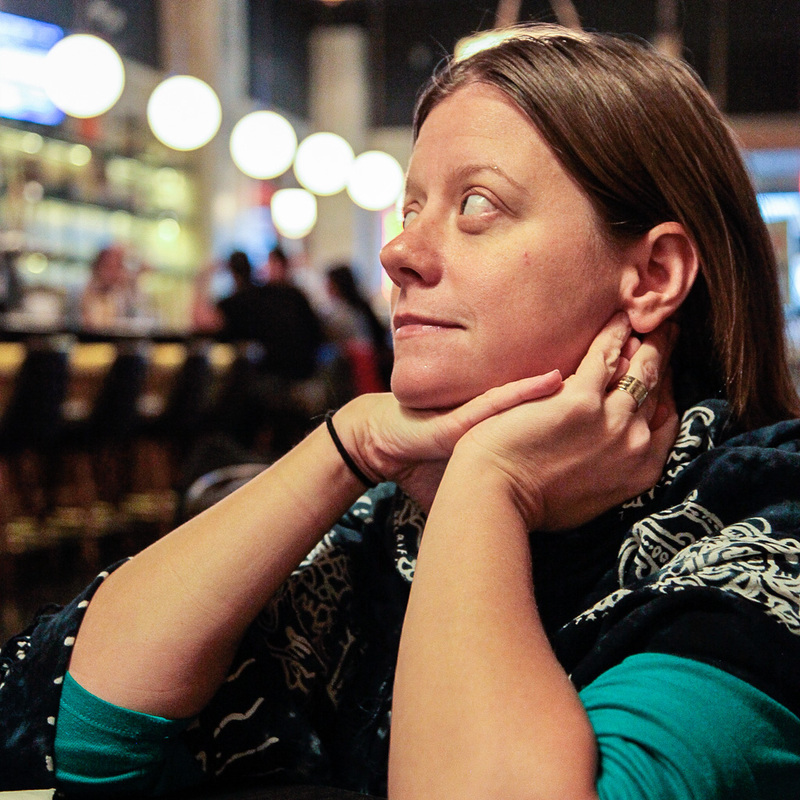 Represented by National Geographic Creative, she is also the author of 'Lagom: The Swedish Secret of Living Well'. Lagom: Is this the secret to Swedish happiness?